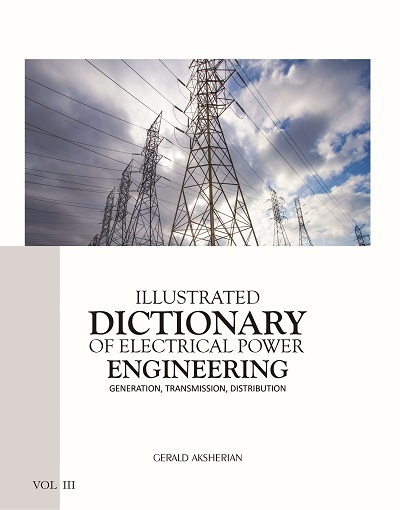 This dictionary introduced to benefit those engaged in the profession of electrical power engineering, students, and researchers – contains 33,00 entries, 1,500 pages spanning 3 volumes on electrical power engineering covering definitions and explanations of terms in power generation, transmission, and power distribution. In addition, the dictionary has developed a Time-Line of 18 pages illustrating chronological order of invention and progress in the profession. 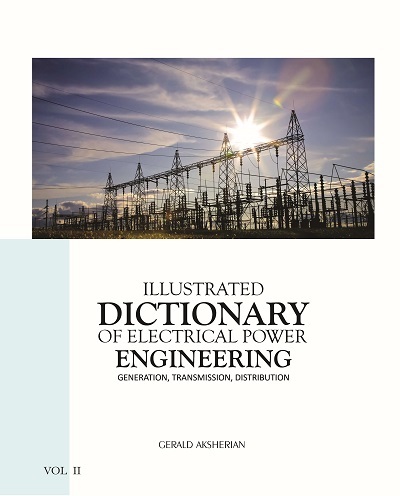 This is the first dictionary on a global scale dedicated to electric power. The dictionary comprises of complex terms on power generators; on transformers; substations; illumination; protective relaying; batteries; grounding; lightning; power switches and circuit breakers; on voltage, and current; cables and conductors; switchgears; motors; circuits; power systems; arresters; power lines; power capacitors; diagrams; tests; employment titles and positions in the profession; the dictionary also includes limited scope of terms in power electronics and electrical theories. 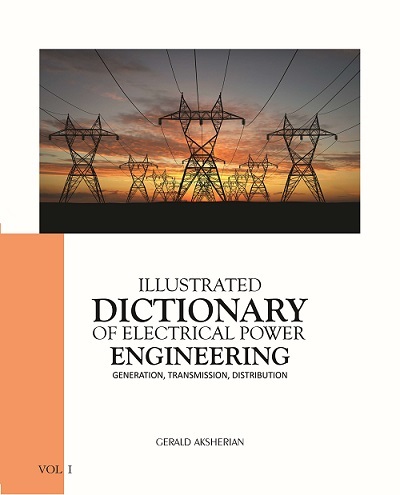 Selections and definitions of terms are based on the knowledge and distinctive insight the author has incurred upon graduation of academic courses since 1952 as a practicing electrical power engineer in many areas of the profession in USA and overseas as well. This work also is based on terms compiled from over 500 sources – specialized literature, dictionaries; encyclopedias; engineering publications; engineering standards – all listed in the bibliography. 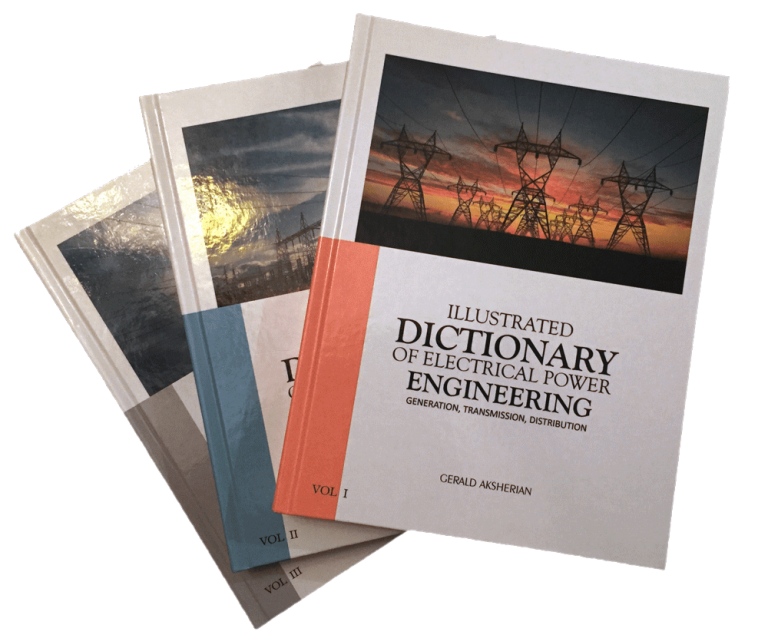 Many aspects of the dictionary presented are distinctive on global scale in the annals of engineering dictionaries explained under INTRODUCTION of the dictionary.